Running in Mobile, Alabama. 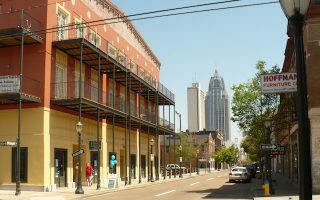 Best routes and places to run in Mobile. 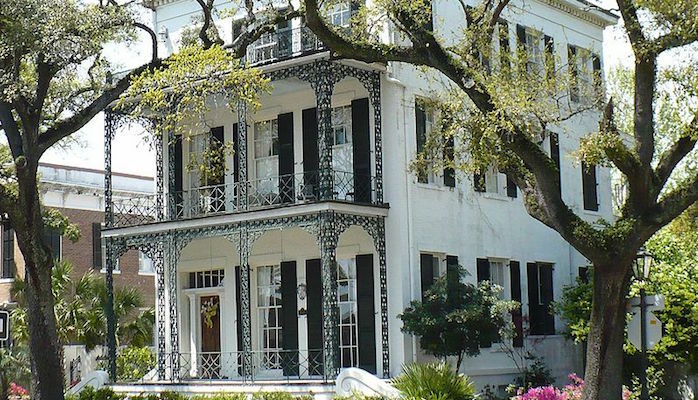 The Gulf Coast port of Mobile, Alabama has long fascinated visitors with its historic architecture, arts, and a famous Carnival/Mardi Gras celebration to rival New Orleans. It’s also one of the most important dock/shipyard areas in the United States, in addition to its prominent healthcare and aerospace industries. The scene for running in Mobile is heavily influenced by the city’s location on the Gulf Coast. 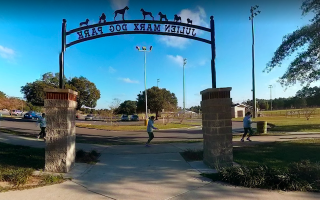 There are plenty of good places to run in Mobile with a little bit of local knowledge. 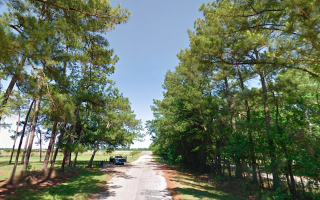 Groups like Mobile United have recently amped up the cycling scene in Mobile, so there are lots of bike-path style running options in Blakeley State Park, the Airport Perimeter Trail, and the Eastern Shore Trail just across the bay in Daphne. 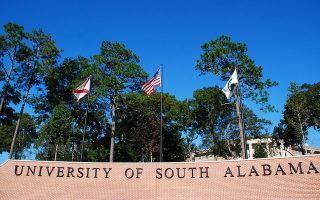 Popular in-town options include the short jogging path at Medal of Honor/College Hill Park, the Glenn Sebastian Nature Trail on the University of South Alabama campus, and road running on the streets of Old Mobile and College Park. For a one of a kind destination run, travel to the pristine beaches of Dauphin Island for a sand/shoreline route. Mobile’s Wave Transit System does a pretty good job of covering the central district, including the Loda Mobile bus which circles the main downtown destinations. For remote routes, like Dauphin Island or Daphne, a car is needed. 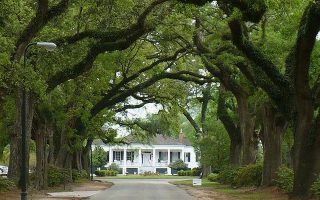 Explore Mobile’s historic neighborhoods on this 4.7 mile loop of Government Street, Dauphin Street, and Old Shell Road, or create-your-own run through shady, tree-lined neighborhoods. Run through this scenic tunnel of trees on the Spring Hill College campus then continue through the College Park neighborhood. Substantial park located 7 miles west of downtown is a wonderful green space for running. Perimeter loop is 2.4 miles, and there are many interior roads and paths, and a couple of lakes. Also the location of several Mobile cultural institutions. 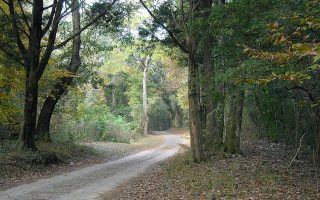 A well-maintained trail system on the grounds of the University of South Alabama includes a beloved 5 km loop. This large park in Claremont has its own ~2 mile paved walking/jogging path. There are nearby bike paths to add for more distance. 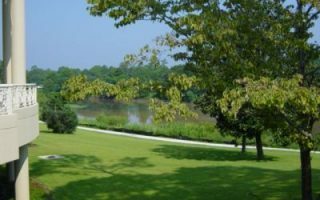 Loved for its diverse ecology and Civil War history, Blakeley State Park has over 16 miles of trails, including a paved ~9 mile bike path loop. Search for alligators in the creek below this cool boardwalk section of the Eastern Shore Trail. It's a quick 2.5 mile (4 km) out and back. It's part of the longer Eastern Shore Trail, parts of which are nice for running. Bordering the edge of the downtown airport, the 1.8 mile Airport Perimeter Trail runs from Doyle Park to Bayfront Road. 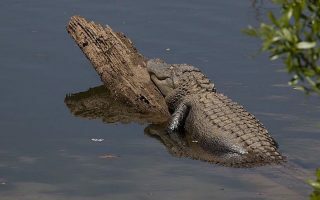 Can be extended to Alligator Bayou via the Crepe Myrtle Trail, which follows Bayfront Rd. for 5.6 miles. Nice water views! 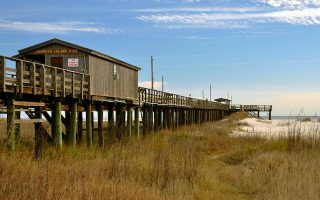 Take a day trip to Dauphin Island to run pristine white sand beaches or the paved bike path along Bienville Boulevard. Long, flat, and beach-y with classic water, sand, and beach shack views. 30 miles south of Mobile. 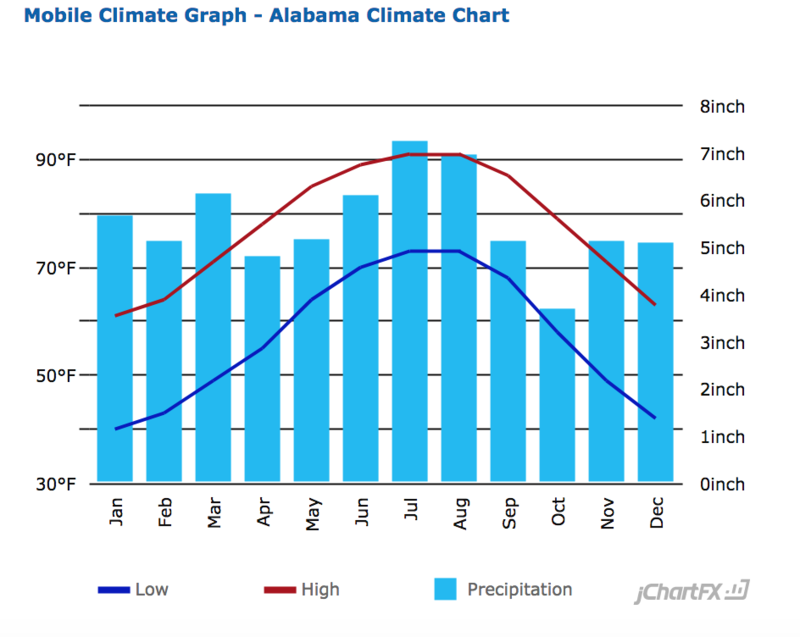 Hot, humid, and wet describes Mobile’s climate, especially from May-October, when average high temperatures soar into the upper 80s and low 90s (27-32C). Nights remain warm. Better to run early or late, and plan for water. Winters are more mild, and pleasant for running, with daytime highs averaging in the mid-60s (18C) and lows in the 40s. Precipitation is common throughout the year, and mostly in the form of thunderstorms and downpours from April through November. Most visitors to Mobile stay in one of two select areas: the Central Business District right downtown, or the Airport Boulevard/Interstate 65 area. There is some OK running downtown. But you might need to hop in your can to get to a couple of our favorite spots — all within a 10-15 minute drive. Fore more info on where to stay, see Visit Mobile’s official guide. The go-to running stores in Mobile are Fleet Feet and Run-N-Tri Company. Fleet Feet hosts a Saturday morning running club, and Run-N-Tri has a different type of group run almost every weekday evening. See store links for details. Other local clubs include the Port City Pacers and the Bay Area Runners. Fleet Feet hosts and recommends a number of races around Mobile. Check out their race calendar for details. Another good calendar from the folks at Run-N-Tri Co.